I am excited to announce the new Claire M. Hubbard Young Leaders in Conservation Fellowship Program. 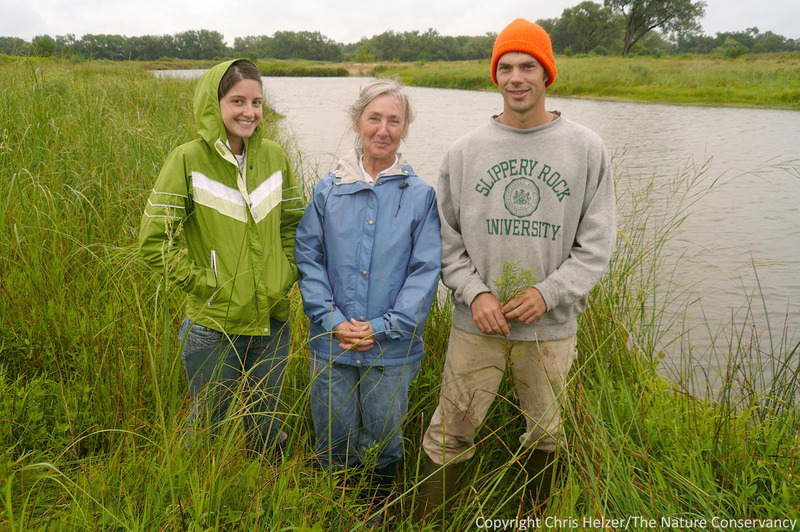 The program will fund two Fellowship positions with The Nature Conservancy of Nebraska. Fellows will be based here in the Platte River Prairies, but will also spend significant time at other sites around the state and region. Join us on the Platte River Prairies for a year you’ll never forget. The Hubbard Fellowship is designed to give recent college graduates the breadth of experience they need to qualify for a fulfilling conservation career. As opposed to the typical post-graduate experience of bouncing from seasonal job to seasonal job for several years or more, this paid Fellowship position provides comprehensive experience across multiple facets of conservation work- all in a single year. Fellows will participate in activities ranging from prairie restoration and prescribed fire to fundraising and marketing. However, the Fellowship will also be individually designed to emphasize the experiences each Fellow wants or needs to prepare them for the career they want. The Fellowship is open to graduates of undergraduate and graduate programs in natural resources, conservation biology, or related subjects. We are looking for highly-qualified, motivated people with strong leadership and communication skills. Applications are due March 8, 2013 and the position will begin June 1. This entry was posted in General, Prairie Management, Prairie Natural History, Prairie Restoration/Reconstruction and tagged claire m hubbard foundation, college graduate, conservation biology, conservation career, conservation internship, conservation job, ecology, experience, fellowship, grassland, hubbard fellowship, internship, job, natural resources, platte river, prairie, technician, the nature conservancy, training, young conservation leaders fellowship by Chris Helzer. Bookmark the permalink. Looks like a fun gig! Thanks for the heads up. Will this be available again next year? I’m a recent graduate working on the restoration of prairie systems in Texas, and am looking for places to get more restoration, horticulture and public outreach experience. Are there any other opportunities currently or in the near future with your organization? Aryn- this will be an annual program for the foreseeable future. My best advice is probably what you’ve heard a hundred times. Get as much experience as you can by volunteering, working seasonal jobs, and meeting people in the field. It’s a tough job market right now, so networking is critically important.